Modalizy S.A. is a subsidiary of the OCTA+ group whose ambition is to provide concrete solutions to the needs of businesses in terms of mobility. Its activities are developed in collaboration with a network of mobility partners in Belgium. The aim of Modalizy is to provide a comprehensive solution to the challenges of business mobility and management of business travel expenses. Modalizy enables you to ease the mobility of your business, to the benefit of your employee’s well-being, the positioning of your business, your productivityand your profitability. The Modalizy Pass MasterCard® gives you direct access to the services of all mobility solutions spread throughout Belgium. It is a smart mobility solution for managing your business travels without constraints, giving you time to concentrate on the essential. Public transport, taxis, car parks, bicycle hire or carwashes: all expenses linked to your business travels can be paid for using your personal Modalizy Pass MasterCard® and are invoiced to your company at the end of the month. No need to worry about lost parking tickets anymore, no more need for employees to pay up front for their train tickets… There is a wealth of benefits. What’s more, your company recovers VAT on a maximum amount of expenses. Discover how the Modalizy offer works in detail. 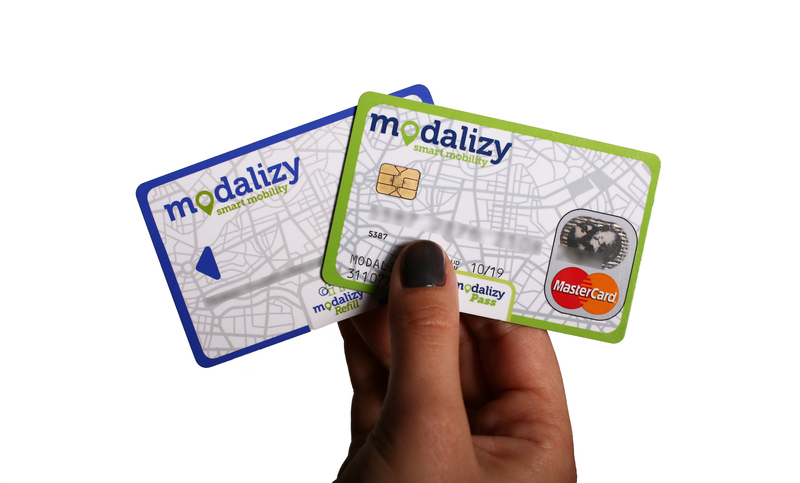 Modalizy Refill is a fuel card that also gives you access to electric recharging terminals for your electric or hyrbid car. Use it as a complement to the Modalizy Pass Mastercard and benefit from an all-in-one mobility solution to manage all of your business travel expenses. 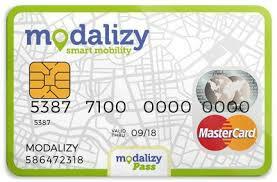 The Modalizy Refill card works like a conventional fuel card. It is accepted at OCTA+, Esso, Lukoil, Q8, Texaco, Avia, Gabriëls, G&V, Maes, Power and the DCB network. In addition, you enjoy access to a network of more than 1.850 gas stations in Belgium, one of the biggest networks in the country.